Let's Ride a Bicycle Under the Blue Sky! Let's ride a bicycole under the blue sky! 1. 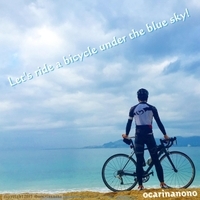 Let's Ride a Bicycle Under the Blue Sky!